When it comes to decorating or renovating your home you want something that reflects your taste, style and personality. What is more, many designers agree that every feature of your home integrates a significant role in creating the overall appearance and ambiance. 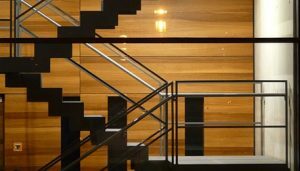 Unfortunately many homeowners only focus on certain colors or style and forget about the fine detail such as a stairway. After all, many people even look at the staircase as boring. However, the stairway can pull the whole room together and artfully connect the upstairs and downstairs living areas. One of the best ways to accent your stair case is through customised stair treads. There are a wide variety of types, styles and textures that will definitely accent your décor beautifully. In fact, there are different types of stair treads and risers that can be used very effectively. Stair treads come in an amazing range of styles and types. They can be made from wood, rubber, carpet or even metal. Indeed, it is easy to match or combine different materials that are suitable to your desires. There are pre-fabricated stair treads that can be ordered to fit the size requirements of your stairs. But the pre-fabricated types are pretty basic and limited in style. However, you can have your stair treads custom made to complement your décor precisely. That way you get exactly what you want for your decorating needs. The most common stair treads are wood. That is because they are durable and very cost effective. Full solid wood treads are the actual stair steps that cover the existing sub treads underneath. The treads are made from solid pieces of wood glued together. To prevent warping, the wood is laid in the direction of the thread run. One of the best benefits of full solid wood treads is that with proper care they can last forever. They can also be sanded down or refinished if they are dented, scratched or damaged. For further protection of wear, carpet runners are often placed over the solid treads. Carpet runners can also provide a slip resistant surface and create a grand presence in your home. False tread end caps are used to give the appearance of solid treads with a carpet runner in the center of the stairway. Caps are positioned at one or both sides of the staisr and then carpeted. The benefit of false tread end caps is that it appears to be solid tread but the cost is much lower. False tread end caps come in a large variety of sizes and can also be custom made to meet the measurements and designer needs of your stairway. The landing tread or shoe plate is the horizontal wood piece that sits on the stair landing or at the upper floor of a stairway. It is where the posts and balusters are attached. The landing tread is an important part of decorating. It provides a boundary between your flooring materials and balustrade or railing. It also allows you to artfully transition between the upper flooring and the stair treads. The landing tread comes in variable widths and thicknesses that can be matched to your stair treads. A custom made landing tread is precise and stylized to your exact decorating and renovating requirements. © Copyright 2017. All rights reserved by | » Customised Stair Treads Peter Ross Enterprises Melbourne | Website Designed by: Netwizard Design.